Elizabeth Zimmerman's Baby Surprise Bonnet, knit to match Roo's Baby Surprise Jacket, using the half skein of Ty Dy Cotton I had left, interspersed with some undyed cotton I had lying around that turned out to be exactly the same weight and texture, and blends in delightfully. It's so sweet and old-timey I can't get over it. A Lovable Bunny, by Marion Edmonds, from Last Minute Knitted Gifts. Knit with Berocco Ultra Alpaca, with leftover Elann Peruvian Worsted for the ears and nose (schmancy Angora seemed a bit much). My embroidery leaves...much to your imagination about what bunnies may actually look like. But I feel like these toys are not supposed to look perfect and all sophisticated. This bunny looks like it could have been made by some excited young mother out in Appalachia in the 1800s or something. And I've made my first toy, which for whatever reason was something I was really nervous about (it keeps a shape? On its own? How am I supposed to make it do that?) And I have a whole lot of stuffing leftover, so it's unlikely to be the last. And if it looks (what did they say about the Velveteen Rabbit? Well-loved?) already, then that's just testament to its huggability and just imagine what it will look like when subjected to your standard child-love. I hope it survives. Just discovered your blog and I love it! 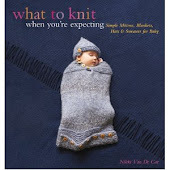 I can totally relate to your baby-knitting mania, I was there a few months back... Love the stuff you`re knitting. I soo love the bunny, I think I`ll buy yarn tomorrow to make my son one... Maybe I`ll make it in cotton though, as he is in the phase where he puts everything in his mouth! Everything here is awesome. Teach me, yoda. I thought of the Velveteen Rabbit here! 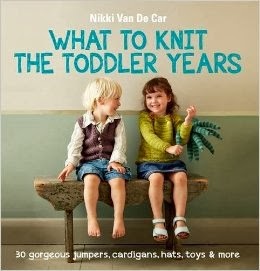 I loved that story when I was a kid (still do!) and wished I had a rabbit like that. Glad Roo will have one!